Prince in The City’s Twitter Questions Answered! During my interview with extraordinary professionals, I take questions from the Twitterverse for my guest to answer. 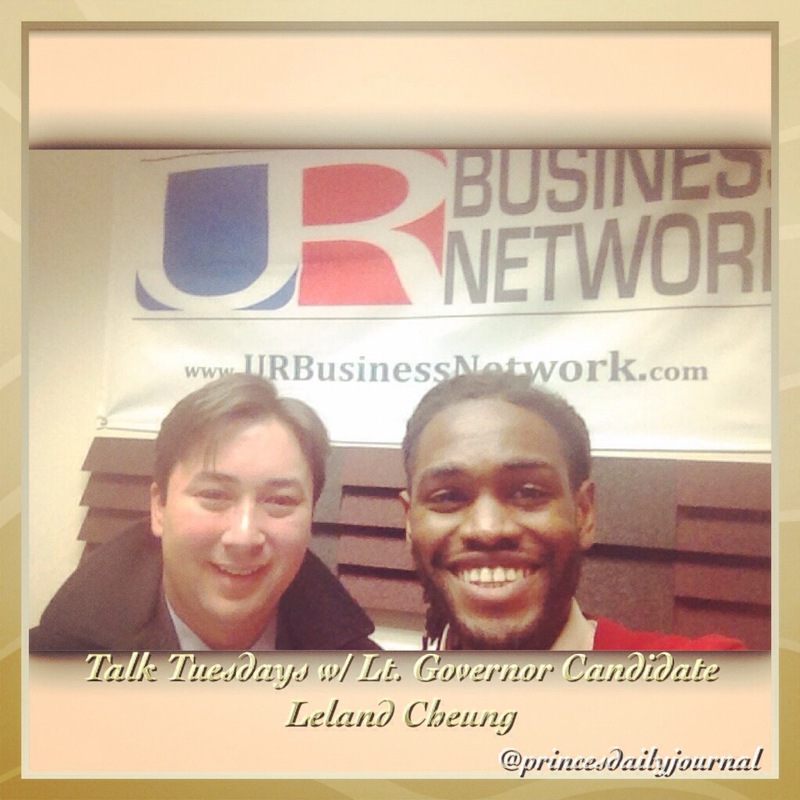 Today my guest was Leland Cheung, Candidate for Lt. Governor of Massachusetts. Here are the questions that I pulled from Twitter. From my conversation w/ Leland, he told me that his three biggest priorities as Lt. Governor are: (1) Chairing the governor’s council (help the governor with courtroom judge appointments), (2) Making sure that cities and towns are inclusive in all town hall meetings, and (3) Expanding economic opportunity to all in Massachusetts. (1. )Chairing the governor’s council is an important role for Leland because it is the main responsibility of a Lt. Governor. Helping the governor with his courtroom judge appointments may not sound exciting, but he reassure us that it is an important job. If you show up to court one day and find that there is no judge to hear your case, then that is a cost to you! Not only does he want to make sure that every judge appointment slot is filled, but that diversity is a key factor in every selection process–he wants to make sure that the bench reflects the people of a particular district. (2.) Having been a city councilor in Cambridge for 5 years, he understands the power of community activism; some of his greatest success stories are credited to the people in his district that have raised their voices on important issues. So as Lt. Governor, he does not only want to move the governor’s agenda forward but wants to include all cities and towns (in Massachusetts) in every discussion–no matter how small they are. He wants to make sure that the governor’s agenda works for the individual. 3.) Expanding economic opportunity to all in Massachusetts is a priority that he can not stress enough. He strongly disagrees that economic opportunity be limited to one city or one bracket of individuals with Ph.Ds; the war between Cambridge and Boston must stop! What he has learned is that economic prosperity comes from investing in our neighbors (like Springfield), and there should be no monopoly. People are so quick to compare Cambridge to Silicon Valley that they forget that San Francisco is also a neighbor of Silicon Valley–which is a two-hour drive! And so as Lt. Governor he wants to ensure that everyone in Massachusetts receives economic opportunity, and that investments in Massachusetts (including infrastructure) are well-funded. If you have more questions for Leland, or if you need more clarification on any one of these questions, please go to www.lelandcheung.com and contact his campaign. Previous Prince In The City!